Lashes really amplify any makeup look in my opinion, so I am always on the hunt for all different styles, shapes and volumes to add to my collection. 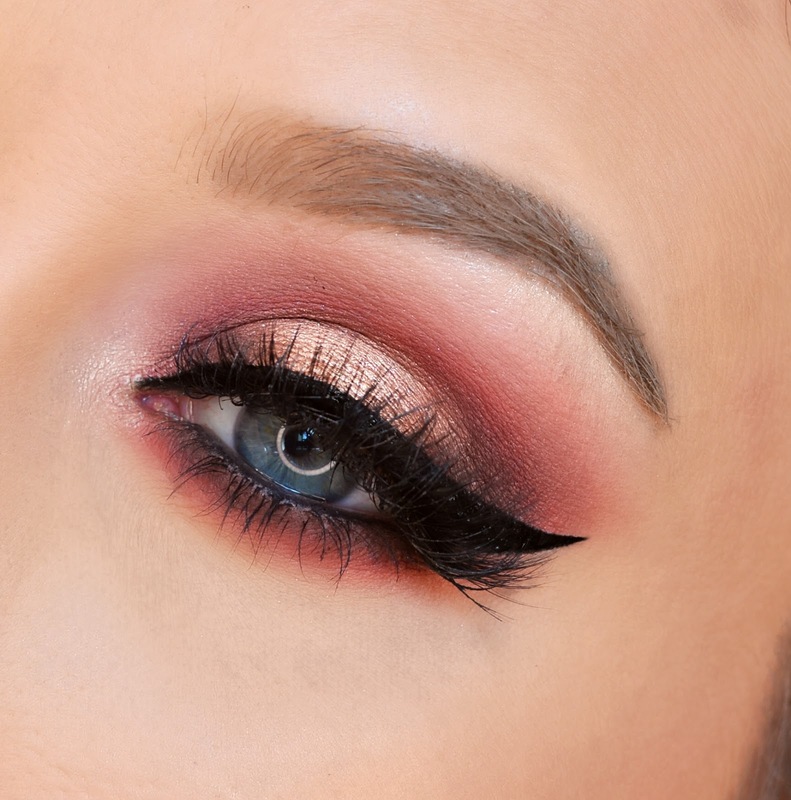 Different styles can help you achieve different looks such as: a more natural and thin-banned lash to go with your everyday look or perhaps a full set of wispie lashes for your night out with the girls. 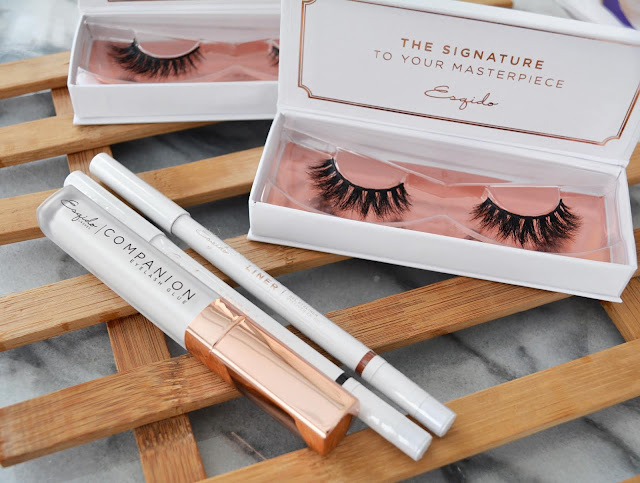 I have tried many different styles from different brands and have grown such an appreciation for lashes, which is why I am so thrilled to be trying out a couple gorgeous pairs of mink falsies from Esqido. Along side these two sets of lashes, I will also be giving my thoughts and opinions on Esqido's Companion Eyelash Glue and Gel Liner. So without further adieu, lets get started! First and foremost, the packaging has left me in awe. Upon opening my parcel I was greeted with the most stunning and elegant packaging, everything just looks so clean. The lashes come in white boxes that are also encased in a matte white plastic covering, everything feel's very well made and luxurious. The inside of the box has a clear, plastic insert which is hovering above a rose gold bottom piece, again, the presentation is perfect. One thing I noticed while detaching the lashes is that they have only used two small dots of adhesive to attach the lashes, which I love for many reasons. First off, I don't think a full strip of glue is needed to keep the lashes from moving in the packaging, also it leaves you with less of a chance of tearing the lashes while trying to remove them. The Companion Eyelash Glue comes with 5.5 ml of product, which is a very generous amount in comparison to some other lash glues I currently own. The Gel Eyeliners come in a sleek matte-white pencil, and also have a little rubber ring where the lid fits on which I believe is to act as some sort of stopper and perhaps to help keep the lid on tight. Overall, Esqido's products present extremely well, lets see how they perform! Esqido | Mink Lashes In The Style "Midnight Symphony"
The first set of lashes I would like to show you are in the style "Midnight Symphony", these have been specially designed with their multi-curl process to achieve big volume while still looking somewhat natural. Right off the bat you can see just how fluffy these are, the mink hairs are completely matte which helps to eliminate some of that "fake lash" look. The band seems thin, but not too thin which is nice. Esqido uses cotton to create their bands, which will help them feel softer, more comfortable and help with an easier application. Stiffer bands/lashes are always more difficult to put on, in my opinion. 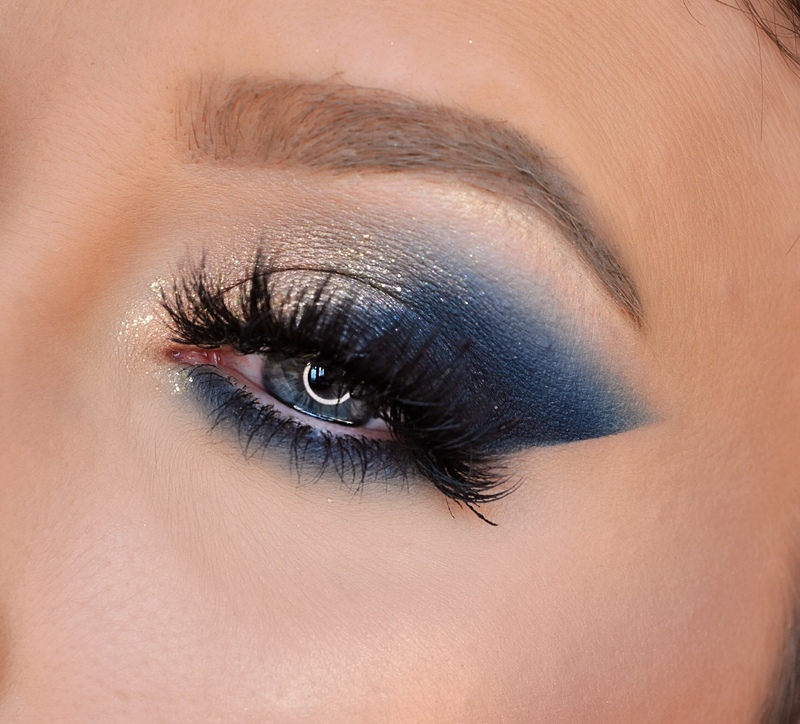 Above are a couple smokey eye's, I figured I would showcase these lashes on more of an evening look but not too dark so that the lashes were still visible. I was very pleased with how easy these were to apply, just like I figured they would be just based on the band size and the material. Also you can see they are very fluffy, and don't have a plastic look to them at all. For the next set of lashes, I decided to pick a lower volume pair, "Celestial". These would look fantastic on a classic glam look, an everyday or evening a night out look. Towards the inside of the band, the lashes are shorter and towards the outside, they're longer and super wispie. Once again, they are crafted with a cotton band, 100% mink shedding's and look just as stunning as the pair above. Esqido also sent me their Companion Eyelash Glue, and I thoroughly enjoyed it. The consistency was slightly thick which helped the glue to not run. The applicator is a tiny little brush, just as small as a liner brush. The glue is a milky colour that dries 100% clear. Having such a small brush to work with definitely made the glue process much easier as I didn't have to worry about making a mess. 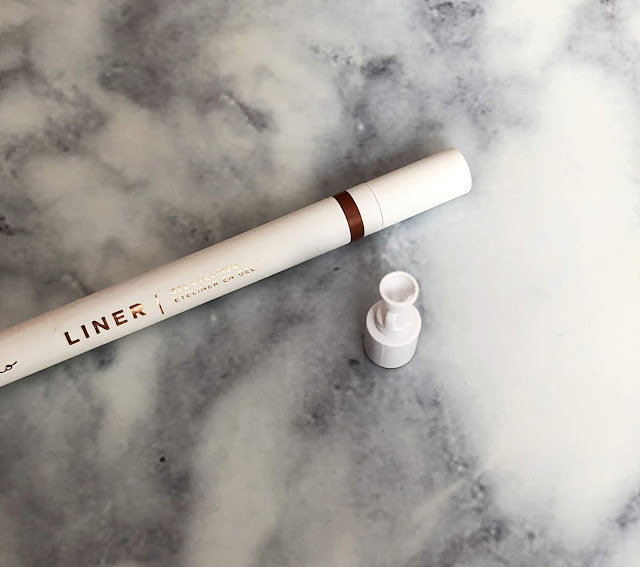 I found that a little of this glue goes a long way, I only needed a very small strip of glue in order to apply the lashes, and I had no problems with the lashes lifting during the day. The only thing I noticed with this glue was it's smell, which was somewhat strong, but didn't bother my eyes at all. Once I applied the lashes and let them set for a minute or so, they were not going anywhere! as I feel they are a staple when trying to get your falsies to blend in seamlessly. These gel liners have some pretty big claims, such as being waterproof, last all day and just mechanically sound. All of these claims have been true, in my opinion. Esqido's Gel Liner's are absolutely fantastic, I found them to be incredibly smooth, they didn't bleed and I love how they've added a small silicon ring to ensure a completely air tight seal. This is the first gel liner I have ever used that has a little sharpener built in, you remove the bottom cap and the little sharpener pop's off, this eliminates the struggle of trying to do your liner with a rounded tip! The pencil also includes a twist and retractable dispenser, for a gel liner, it's super high-tech. Doing a smudged eyeliner look is definitely do-able with this liner, you'll have to be quick though, once these babies set, they're on all day long! After doing a few swatches, wiping them off was difficult, that's a positive in my books though. Last but not least, these are formulated without latex, formaldehyde, parabens, sulfates, phthalates and are fragrance free. Esqido | Gel Eyeliner Swatches in "Brown" & "Black"
In conclusion, I have had a wonderful time trying out all of these goodies. The lashes are so gorgeous, easy to apply and long lasting. The Gel Liner's are out of this world, very rich, high colour pay off, the longevity is outstanding and they have the coolest built-in sharpener! The Eyelash Glue has a very small applicator which made putting on a pair of falsies much easier, the smell is strong but nothing unbearable and the glue held up all day. These lashes can last up to 25 days, perhaps even longer depending on how well you take care of them, each pair ranges in price from 24$ up to about 35$. 35$ for a high quality lash that can last you a month of everyday use is a great price in my opinion and well worth it! Esqido offers a 60 day return and exchange policy, which means you could try them out and if for some reason they just aren't for you, you'll be able to try another pair or even get your money back. 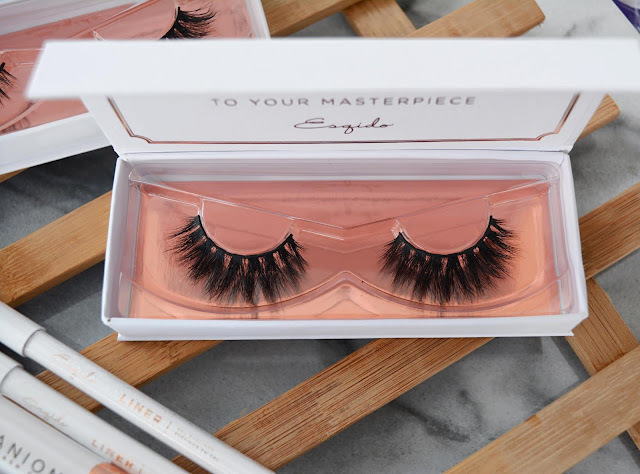 I hope you've enjoyed today's blog, if you have never tried Esqido's Lashes and are looking for a great pair of falsies, go grab some, you won't be disappointed! 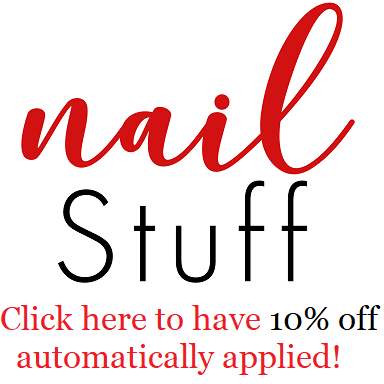 I love their glue, the tip makes it so easy to apply! The dramatic lashes look amazing on you. I definitely agree that false lashes really changes a look especially in photos. Great eye looks - the lashes look great on you! 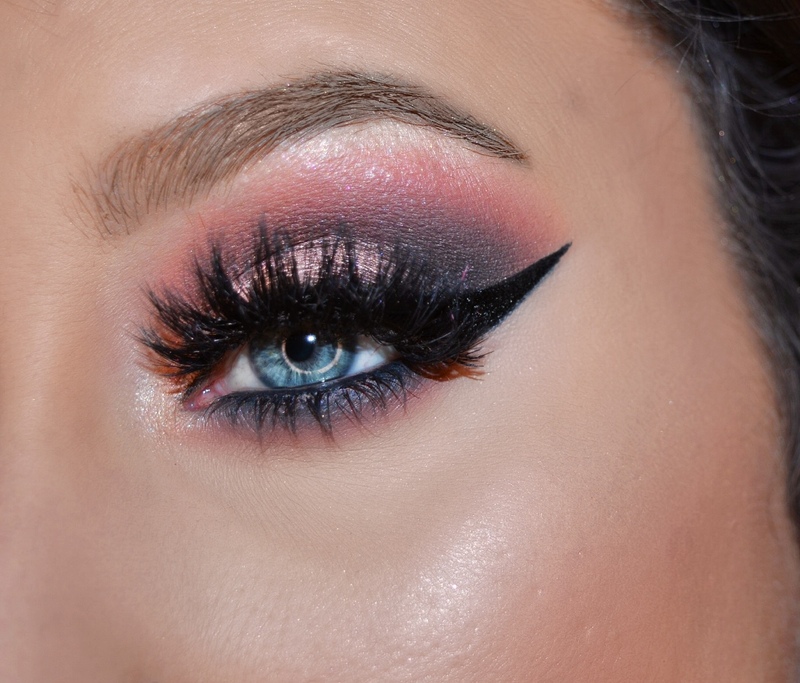 I love their lashes!